It was so gratifying to see this in Sunday’s paper, still four weeks from official pub day. 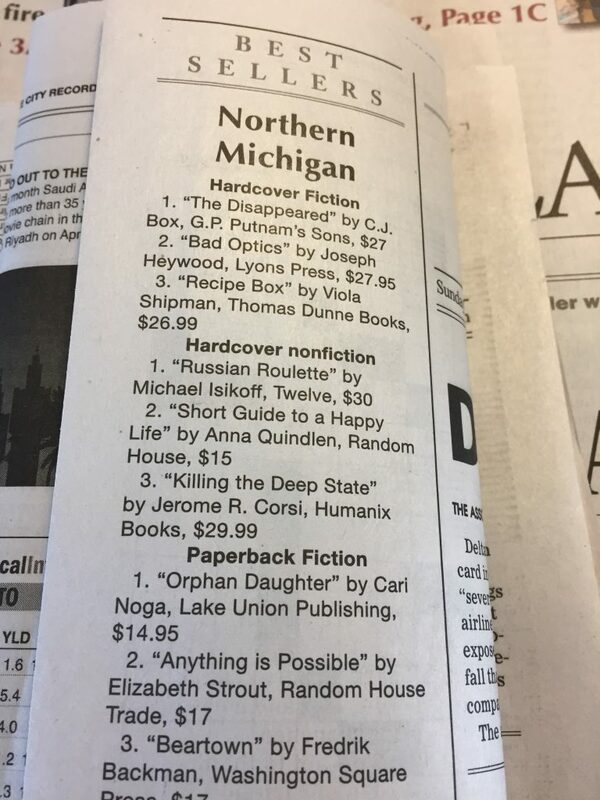 Thanks, northern Michigan readers! If you read on a Kindle, there’s a Goodreads giveaway underway. Enter here for a chance to win one of 100 copies. One week on sale — not too shabby!